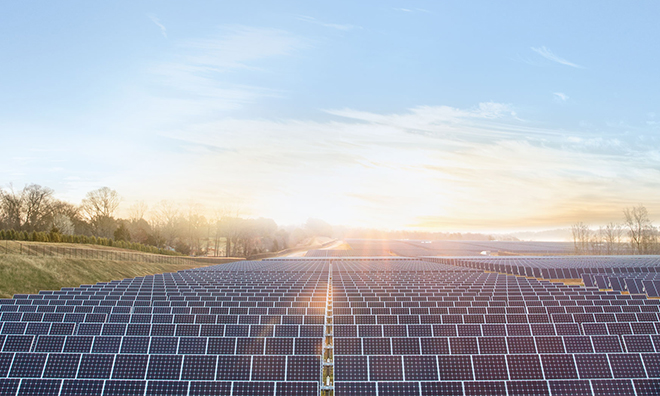 Apple on Monday reached a deal with the city council of Claremont, N.C. to annex 100 acres of land for a new 17.5 megawatt solar farm, the construction of which is expected to cost some $55 million. As approved by the Claremont City Council, Apple's latest solar farm project will bring 100 acres of land into the city's corporate limits and should generate about 75 jobs, which the company agreed to source locally, reports the Hickory Daily Record. As it stands, the land is currently valued at $1.4 million, but Apple will be giving two parcels back to the city for use as greenways, recreation space and other public works projects. According to the publication, the tracts are worth a combined $96,000. After Apple draws the requisite permits, takes control of the land and fulfills other development related minutiae, construction of the farm is expected to be completed in five years. The Claremont solar farm will be Apple's third such facility in the area surrounding its Maiden, N.C. iCloud data center, which itself boasts a 100-acre solar installation putting out 20 megawatts of power. In September of 2012, the company purchased another 200 acres of land a few miles away in Conover, to be used for a second 20-megawatt farm. As noted by Apple VP of Environmental Initiatives Lisa Jackson, the company's data centers are run off 100 percent renewable sources like solar and biogas, as are 94 percent of its corporate structures. The next step, according to Jackson, is to take brick-and-mortar Apple Stores completely off the grid.